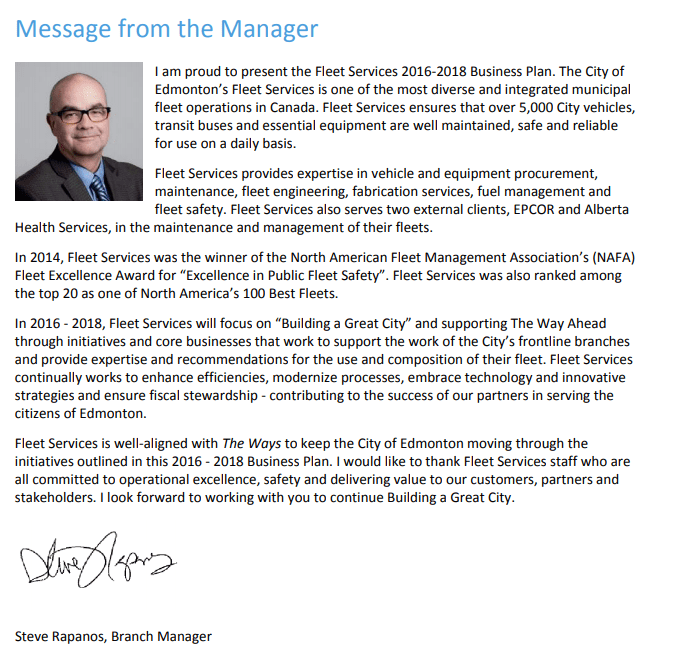 A fleet management business plan is the blueprint for a fleet’s success – literally! Similarly to a blueprint, a business plan designs the fleet’s future success by looking at current conditions, discussing projects, and predicting future success outcomes. 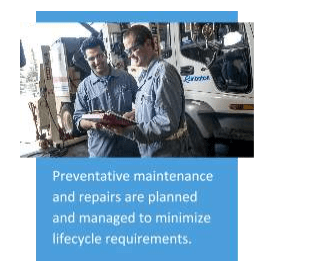 1 – Why should fleets develop a fleet management business plan? 2 – What makes a good fleet management business plan? Humans need plans to stay on target. A great example is my writing style. In elementary school, I was an average to a below-average writer. I had a good foundation because I read a lot and liked writing. However, I wrote without planning and often had disorganized content. What changed my writing style? One of my high school English teachers inspired me to start using writing outlines. Then, I transformed from an average writer to an above average writer. Because I started creating outlines, I planned content before writing and focused on wordsmithing while writing! As a result, my work became well-organized. Similarly, fleet management plans help fleets identify priorities and plan projects. It then allows the fleet to create key performance indicators to monitor yearly goals. A “good” plan doesn’t have an exact formula. However, it should discuss a fleet’s current situation, plan projects to improve its situation, and explain expected results. I want to thank the team at the City of Edmonton who produced an excellent business plan and allowed us to reshare their plan. We will illustrate a good business plan by going through standard business plan elements, with examples from the City of Edmonton’s plan. 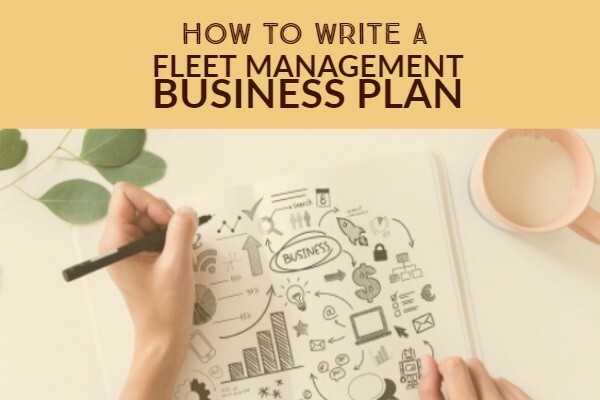 The business plan should explain the plan’s purpose and help readers identify the fleet’s overarching objectives. The City of Edmonton has a great introduction. Steve Rapanos, the Branch Manager, describes that their Fleet team oversees purchase, maintenance, and safety, while aligning with the city’s The Way Ahead initiative. The introduction is short yet informative, and even better, has a personal message from the Director! Next, the business plan should provide an overview of the fleet’s current situation. There are a few ways to do this. For example, some plans include a SWOT analysis. A SWOT stands for strengths, weaknesses, opportunities, and threats, and is an excellent way to paint a picture of the current situation. Edmonton’s business plan discussed its situation by identifying and assessing its risks. This is a great framework because the plan pinpoints the most critical business areas. For instance, Occupational Health and Safety is marked as a likely and serious risk. As a result, Edmonton prioritized safety projects in its plan. Here is the meaty part of the business plan! After determining priorities, it’s now time to set up objectives. Fleet plans should outline measurable objectives and outline ideas or projects that support meeting these targets. Edmonton’s business plan effectively linked needs with projects. 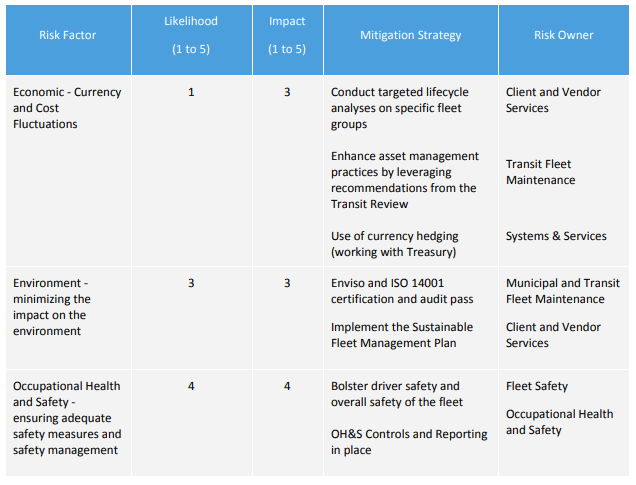 For instance, since Edmonton’s situation analysis concluded that safety is a high priority risk, a lot of the planned projects are focused on safety and maintenance. Finally, the business plan should indicate how to measure success. One of the most effective ways to do this is to set up financial measures or key performance indicators. Metrics support the Edmonton’s plans. For example, in order to measure safety success, 85% or more of City drivers should have zero demerit points. This metric is effective because it directly links with the City’s safety goals and projects.